Quick dinner from a few weeks back when a 1/2 day at work gave me the opportunity to hit up two different farmers markets for ingredients. A Le Bus Whole Wheat Burger bun was the perfect foundation for our burger mix of natural, (primarily) grass-fed beef and chopped bacon ends (oddly shaped, wildly fatty slabs of deliciousness from the Lancaster County Farmers Market in Wayne, PA). 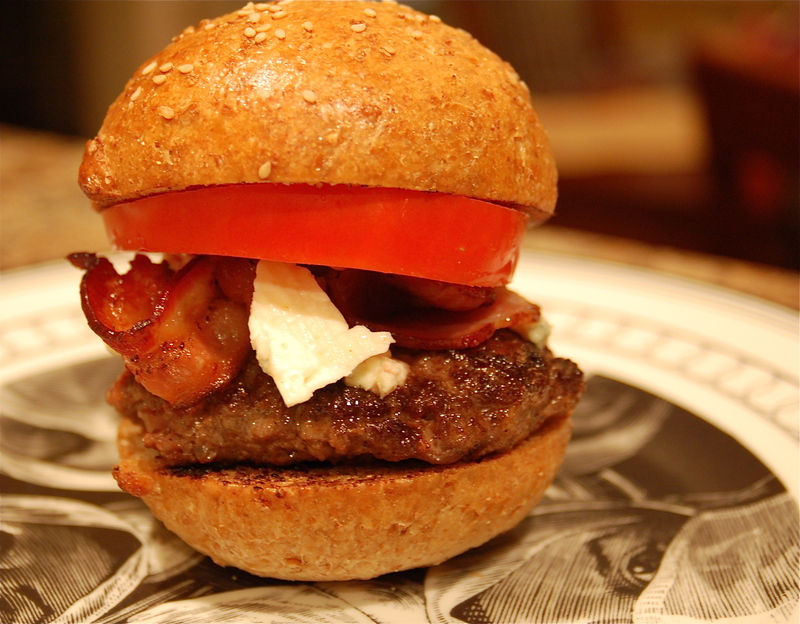 Add blue cheese, a fire-engine red tomato and some extra whole bacon ends on top and the urge to go out to a restaurant and spend $15 for a fancy burger is officially curbed. When possible serve your burgers on plates with pictures of surgeons on them – its a karma thing and it fights off the bad cholesterol. Not too much to offer by way of recipe on this one, more along the lines of advice…we find the beef available at farm stands tends towards the lean side, so chopping up bacon and adding it to the mix prior to forming your patties keeps the burgers moist (in addition to adding flavor). We tested a new (and cheap) cast iron skillet from Ikea and were happy with the results. No one should have to suffer an overly lean burger, so I will share with you what Albert shared with me… Fair Food Farmstand at Reading Terminal stocks 80%/20% ground beef! Adding bacon is a great idea. I’ll have to try that. I hate to admit this but once I bought some beautiful looking buffalo ground meat. Was concerned about my burger being dry so I based with butter all during the cooking process. 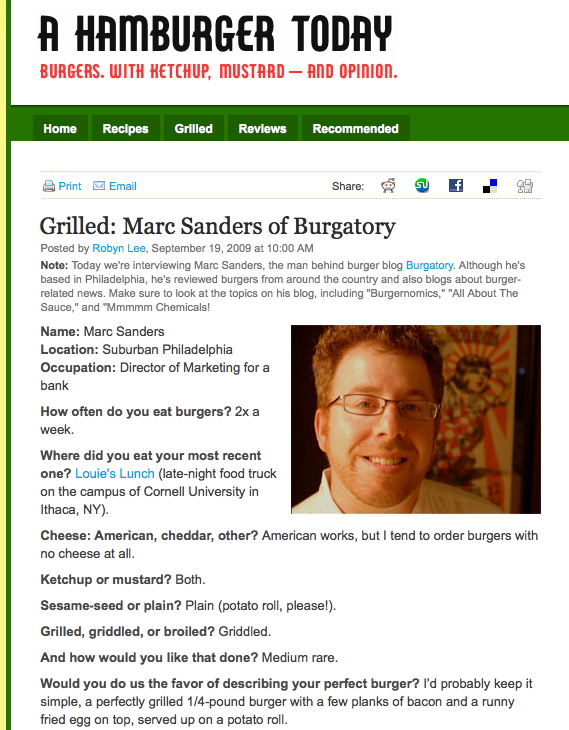 Was one of my best burgers ever – haha.